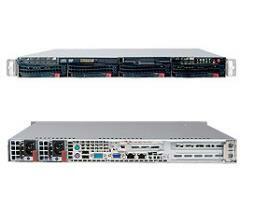 Acme AGD-104TFR 1U Opteron 6200/6300 server. 1U RackMount case with Redundant 700W power supply. ** option to add Hardware RAID card.